T&L Innovations’ core offerings are designed to support the ongoing growth of faculty through the process of designing and developing connected, humanized online and blended learning experiences. Our programs and workshops are offered in face-to-face, blended, and online modalities and are aligned with the CSU Quality in Online Learning and Teaching (QOLT) rubric. To ensure our offerings are relevant and capture emerging approaches, they are fueled by faculty-driven communities within a culture that values sharing, risk-taking, and critical conversations about online and blended learning strategies. The Online Teaching Preparation Program (OTPP) is a faculty development effort designed for new and experienced online instructors. The program engages faculty in an immersive, fully online learning experience, providing valuable insight on the student experience. The OTPP curriculum is aligned with the CI Quality in Online Learning and Teaching (QOLT) rubric, adapted from the research-based CSU QOLT. 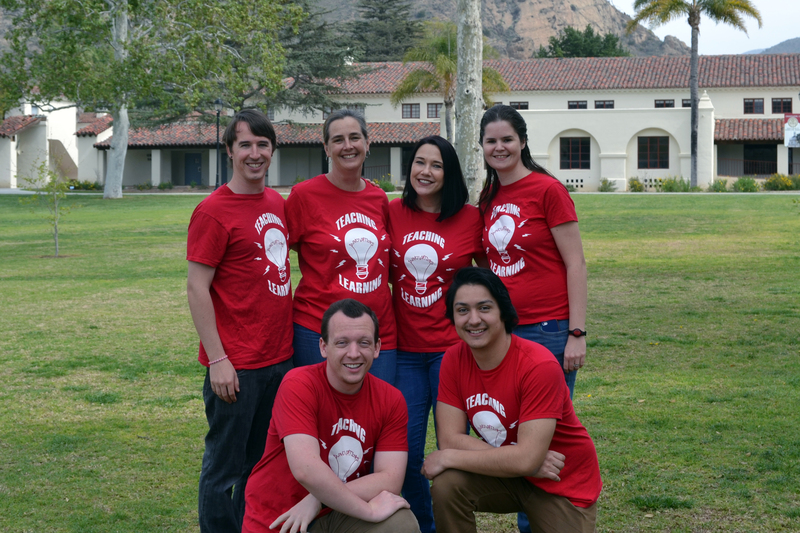 The Blended Learning Preparation Program (BLPP) is a faculty development effort aimed at improving student learning at CSU Channel Islands through the effective use of technology in teaching. Participants in this effort work collaboratively to redesign courses from traditional modes of instruction to blended learning. This program is unique in three ways. 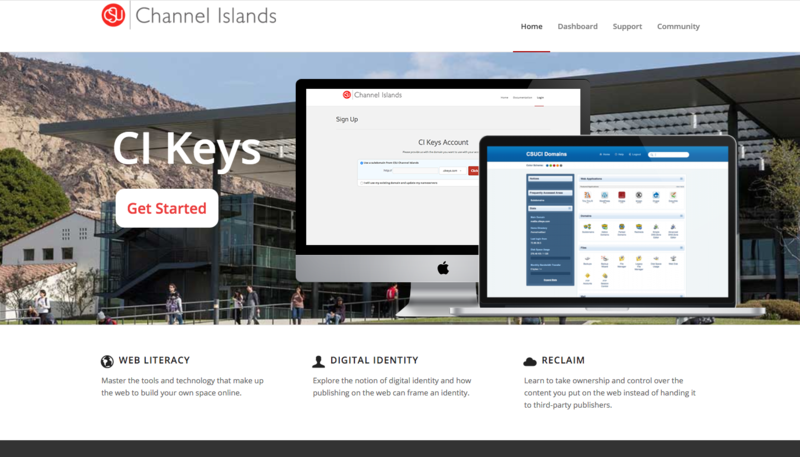 After it's first year of deployment, CI Keys, CSU Channel Islands' Domain of One's Own (DOOO) project, has taken off and given faculty and students alike new skills and opportunities in the realms of digital citizenship, digital identity, web design, development, ePortfolios, and open classrooms. Some standout examples of CI Keys's use are the Science Carnival Activities website, which was built by Phil Hampton to showcase how to do various activities and experiments demonstrated at CI's annual Science Carnival and will serve as a living archive for the years to come, as well as Dr. Jaime Hannans's website which is being used both as an ePortfolio site as well as multiple open course websites where she hosts class information and aggregates student blog assignments. 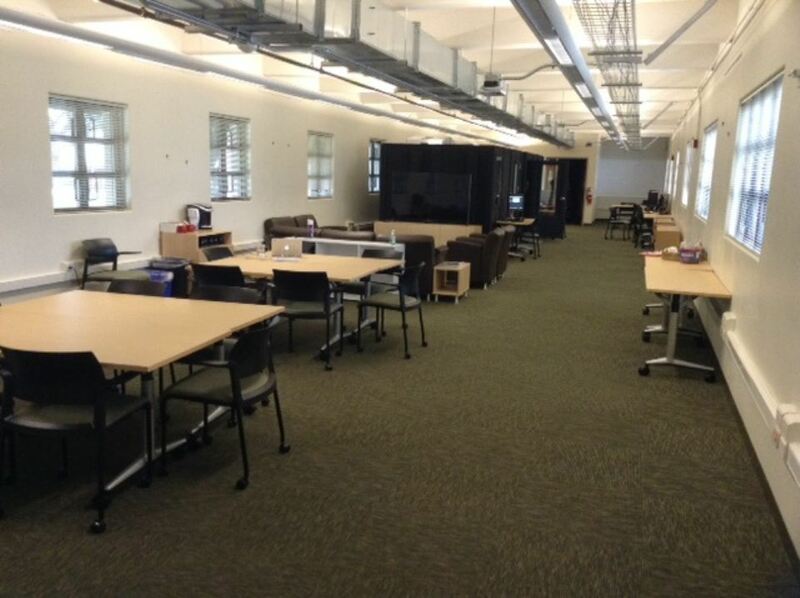 The Faculty Innovations in Teaching Studio, or more FIT Studio as it's more commonly known, has served as a hub for faculty innovation and creativity on campus. It's a space that has become a welcome home to many faculty on campus for getting help with their courses, creating high quality video and multimedia assets, as well an environment where faculty can come to chat over a cup of coffee about what matters most to them, teaching. One way to examine impact of Teaching & Learning Innovations and Academic Technology is to look at expanded usage of high impact tools. One such tool is VoiceThread. Between the Spring and Fall 2015 semesters we saw a 10% growth in the number of faculty using VoiceThread, a 36% increase in the number of students using VoiceThread, and a 118% increase in the number of VoiceThreads created.